I made this a while back not long after the original Walmart 8 were released. 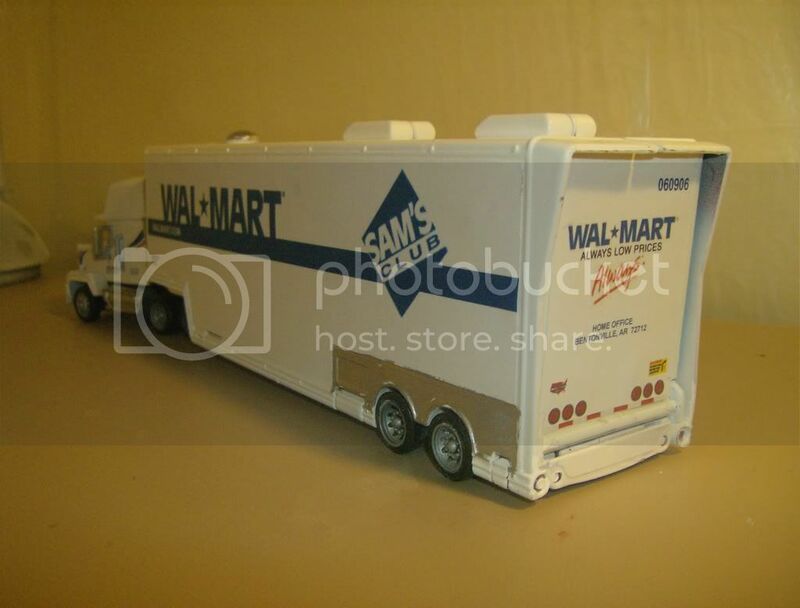 I had the poster of the WM8 with this truck featured, and it was before anyone knew it was coming out. 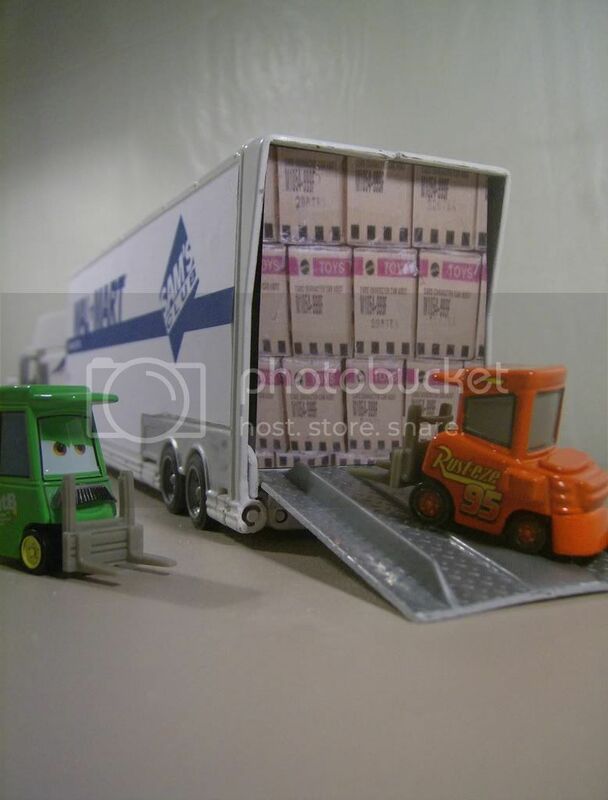 I was sorting through my photobucket account from the past, and came across these... Enjoy! And my all time favorite Cars pic! 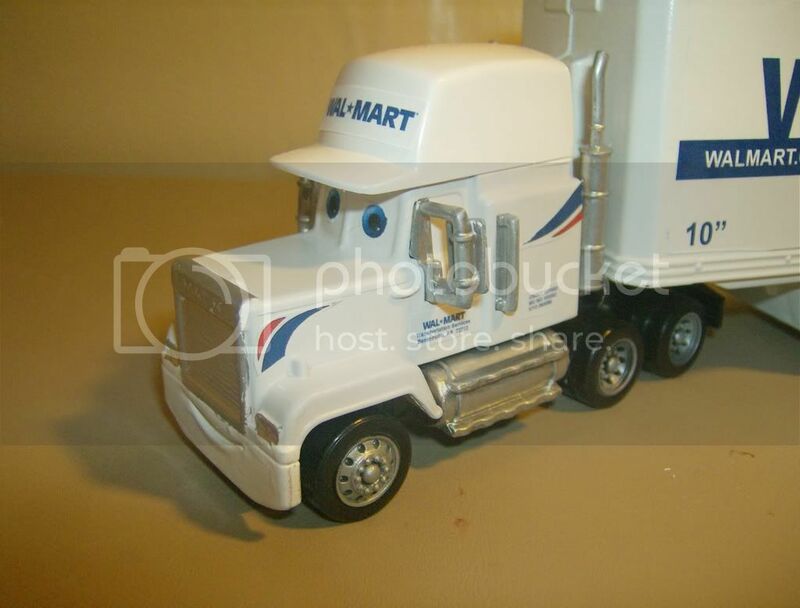 Wow, that's better done than the real Mattel one! I love the cases of Cars in the back. If only all WM trucks had so many Cars in them! Thanks for posting these. And it's great that My Name is Not Chuck and Bruiser Bukowski would be unloading the trailer. Nice detail. 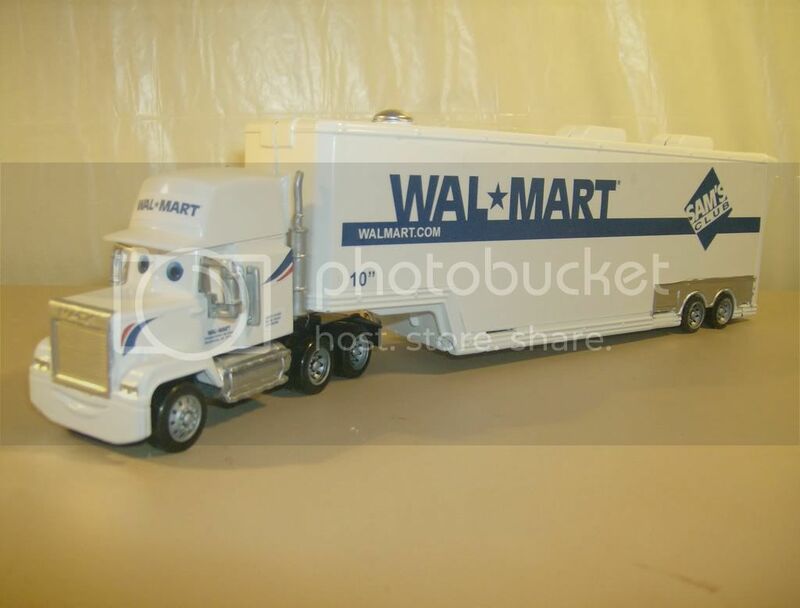 I just bought the wmart hauler second hand. Yeah, I like yours better than the official one. Lovely done! Not bad at all.